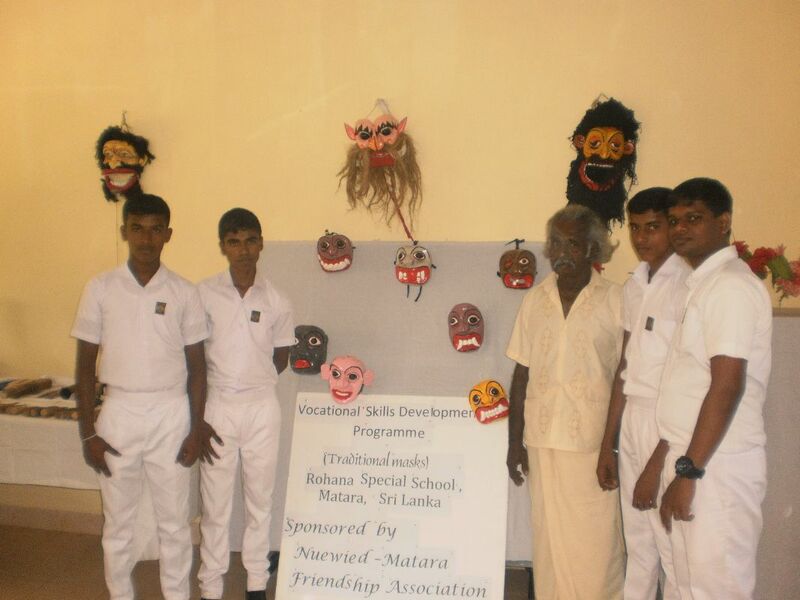 That’s the result of the first four months of mask-woodcarving programme at Rohana Special School in Matara for deaf students. The exhibition took place on Wednesday, February 20th 2018.Activities were started by Neuwied-Matara Friendship Association and supported by donations of Lions Club Maria-Laach and the Ministry of the Interior of the federal state Rhineland-Palatinate. This programme is meant to offer chances for the future of these deaf boys, which will be very important for handicapped young people. The opening ceremony took place on September 19th when the German Vice President, Mrs. Edeltrud Pinger, visited Rohana Special School on that occasion. 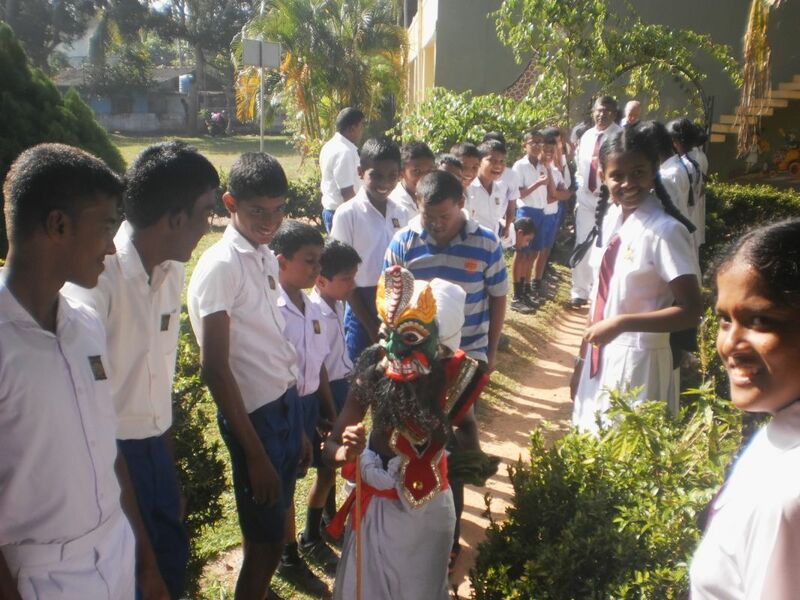 She was happy to see how well organized the programme could start, and she was continuously informed by corresponding pictures, sent by the Srilankan coordinator Mr. Ruwan Abegunewardene during the following months. 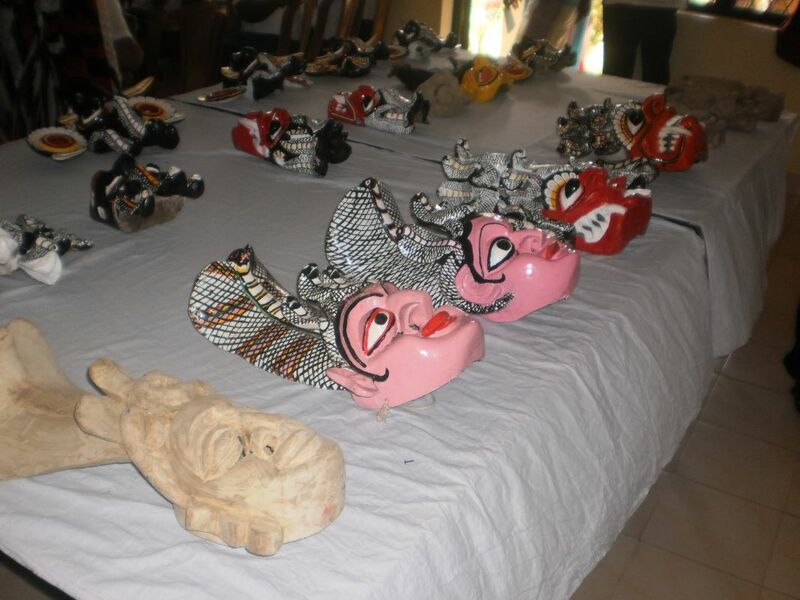 Now, the first exhibition took place presenting fantastic results. 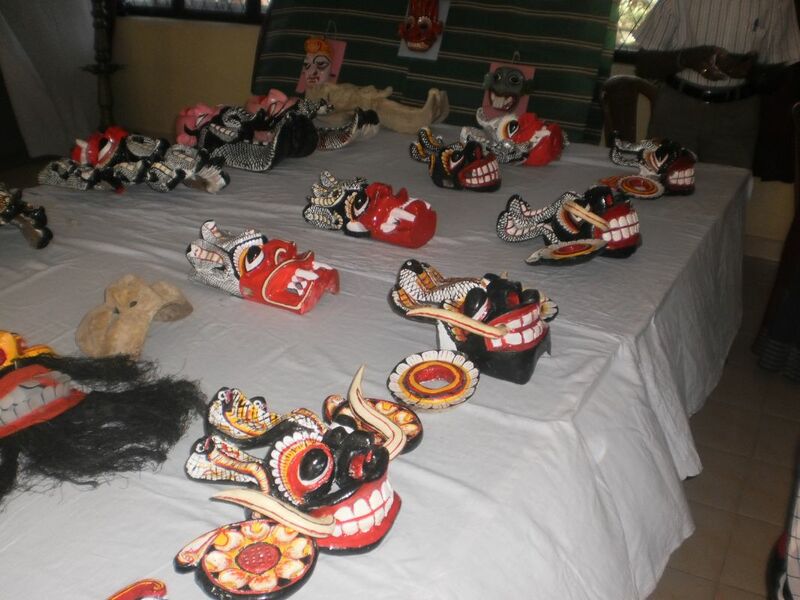 The young boys were taught by a professional wood-carver from Dondra about different kinds of wood, about tools and how to use them effectively, and so the first Devil Gara Masks, Cobra Devil Masks and Fire Devil Masks were cut and painted. 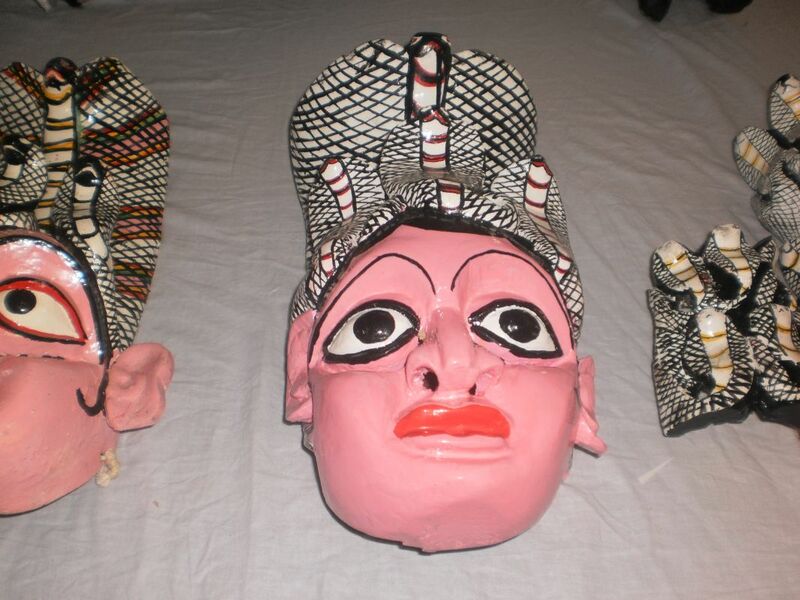 The boys had to learn about the origin and meanings of these masks, about colours and different methods of painting, three times a week after their regular school lessons in the late afternoons. And a sign-language teacher was helpful, too, who accompanied the lessons. This project will be continued till end of August, and there will be a final exhibition as well. 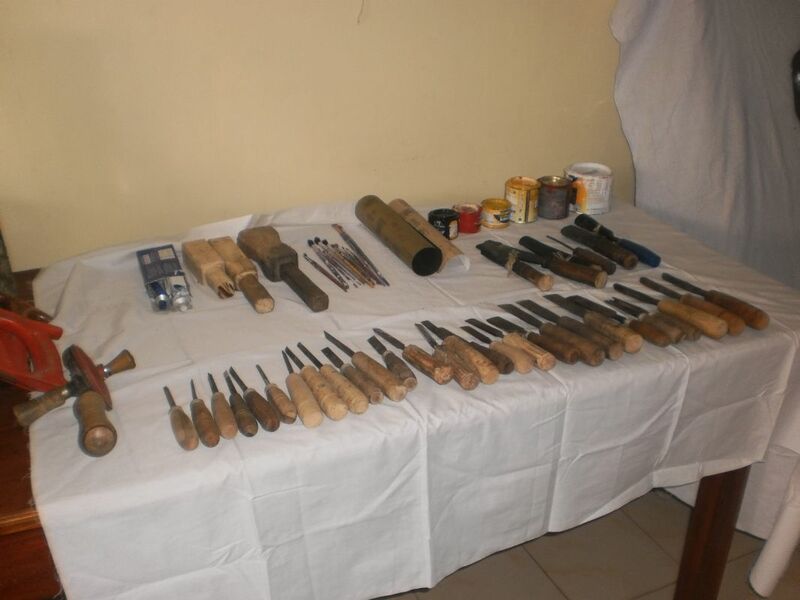 Those who finish the project successfully, will be given a craftsman’s tool kit for individual use and, perhaps, they will be able to make a living of this activity in the future. 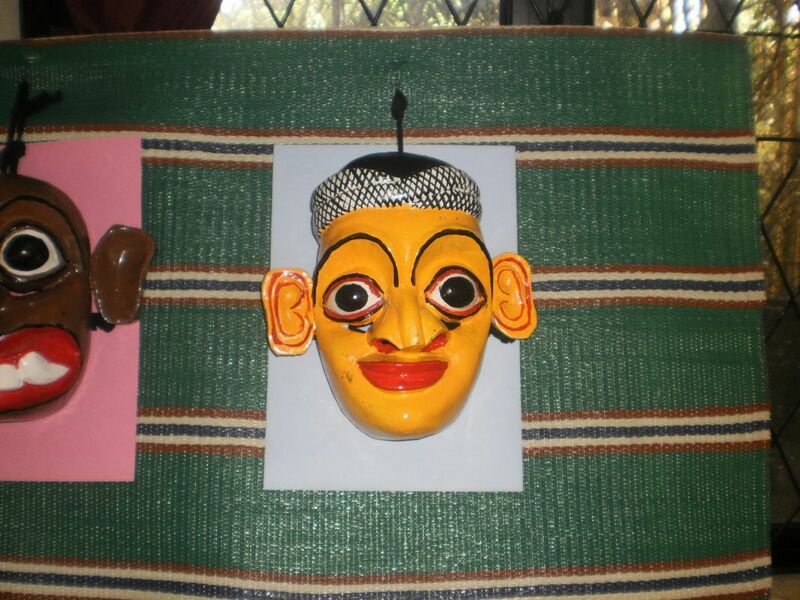 We will try to make contacts with hotels and souvenir shops, and, perhaps, find commercial consumers. Thanks a lot to all donors!